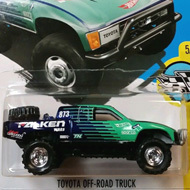 DVC85 is part of the 2017 Super Treasure Hunt set and 2/5 in the Holiday Racers series. It is gold chrome decorated with green & red graphics with stars. 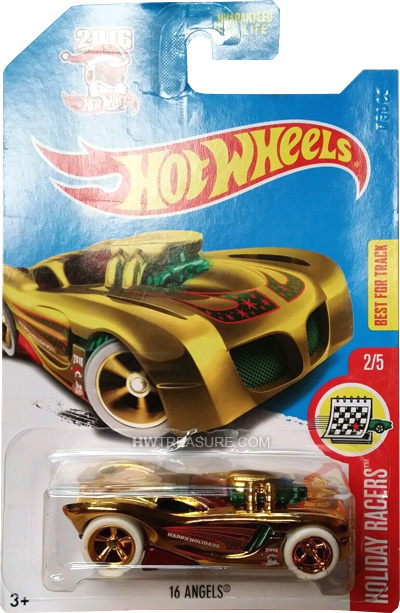 The top rear has “TH” and the sides have “Happy Holidays”, “2016”, and a festive Hot Wheels logo. The car has red tinted windows, a green interior, gold Real Rider 5-spoke wheels with white tires, and a red plastic Malaysia base. The 16 Angels made its debut in the 2004 First Editions series. 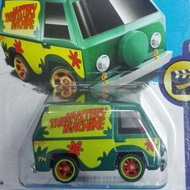 This unique design of a 16 cylinder sports car was previously a Treasure Hunt in 2008.